Interests:My fella & Kids, Computers, microsoft office, paintshop, cycling and Fishing. 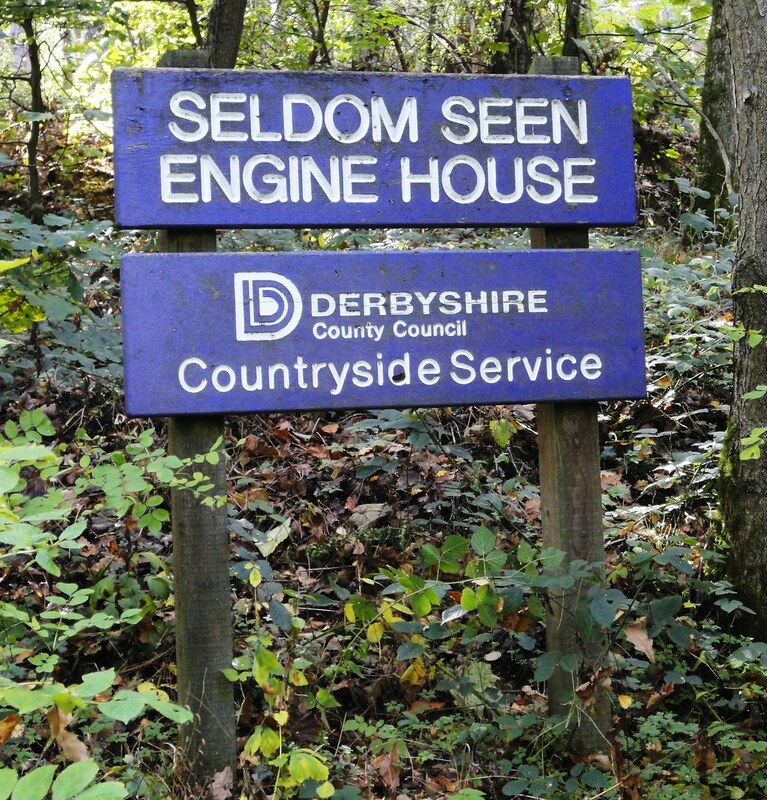 Hi, Does anyone Know much about this place its called seldom seen engine house. when I pass this place taking the dog awalk it doesn't half give you the creeps. I have lived most of my life near here and never gave a thought what this place was until lately. Where exactly is this spooky place? Bridge Inn, Ford : Became licensed premises in the 1840s (a beerhouse is listed in Trade Directories at Ford as early as 1842, the licensee being Isaac Guest). In 1849 Isaac Guest was still at the pub, which now had a full licence (rather than the more easily obtainable beerhouse licence). Brewery owners have included A H Smith and Tennants. An engraved stone built into the front wall of the pub states â€˜The Land Tax of all the Buildings belonging to J Hutton in this Parish is redeemed 1823â€™. The Huttonâ€™s were a Ridgeway family with scythe-making interests and may have owned the Bridge before it was an inn. 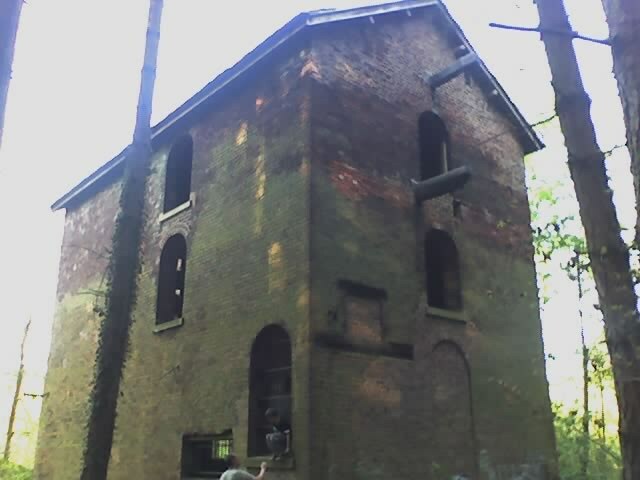 The pub is well situated for exploring the nearby woods, in which can be found the restored â€˜Seldom Seen Engine Houseâ€™. The Engine House is thought to have been built between 1855 and 1875 and once housed a MASSIVE winding wheel for Plumbley Colliery. The Penny Engine Railway (so named because the fare was one old penny) ran from here to Renishaw. 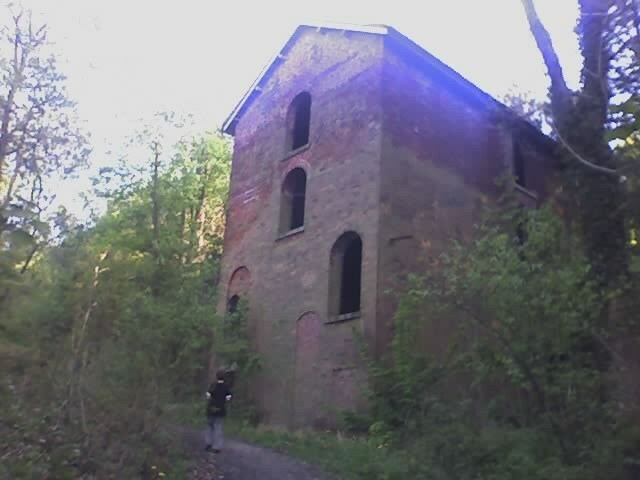 Yep, thats right, the engine house is situation in eckington woods in moss valley. You don't know its even there until you walk right past it for its tucked up within the trees, even so you can walk nearly around it, but they have blocked one of its doors to keep people out. Looking in the barred windows you can see right up to the roof, it is like a big tower, you can also see the MASSIVE wooden wheel girder run from one end the the other through the wall to outside. The engine house is a listed building and not long since renovated the roof to keep the elements out. Its weird but when you mention it to any of the locals..some don't even know about, even though they have lived in and around eckington and mosborough all there lives...I think thats why you call it seldom seen engine house. Does anyone know of any books or writings about this area. I have walked there lots of times but no one seems to know much about it? Don't know if you have come across 'A history of Birley Hay' on the 'Ridgeway Village History' site, it has some interesting reading but only covers Ford/ Birley Hay, not the lower Moss Valley unfortunately. Cheers , Steve.Dont know this site. This forum amazes me: I was born and raised in Gleadless and walked regularly in the Ridgeway and Ford areas, and never knew of this! Cue much googling. The majority of the website is about North Derbyshire Mining, so covers areas on the periphery of Sheffield such as Eckington, Coal Aston and Dronfield. I used to live in Eckington and go in there as a kid. We called it the Old Mill, but as it's next to a slag heap, it was obviously mining based. Sorry for the new reply to an old topic. We do not have 'old topics' on here, it is an history forum ! Old topic ? Just say No ! ... Sorry for the new reply to an old topic. Colliery Accident at Mosbro' - On Monday last, about seven o‘clock a.m. at Plumbley New Colliery, belonging to John Rhodes, Esq., Woodthorpe,about a ton of bind fell on James Newton, coal miner, Mosbro’, thereby breaking his leg (midway between the ankle and knee) and otherwise injuring him. No one was present when the accident occurred, and the poor fellow was obliged to draw out his leg from under the debris, and crawl as best he could twenty-six yards. He was conveyed home, and Mr. Harwood, surgeon, and his assistant, Mr. Burrows, were in prompt attendance,and on their recommendation he was removed to the Sheffield Infirmary. Accident at Plumbley New Colliery, Mosbro''—On Tuesday, a mishap occurred at Plumbley New Colliery, belonging to Mr. Rhodes, of Beighton. The pit is about half a mile from the engine-house, and the coal is brought from the mouth of the pit by a truck, which holds nine corves and a barrel of water, up an incline plane by means of a stout steel rope. At noon, a truck, laden as above, was being brought up, and had almost reached ite destination, when the engine-tenter (only about a week employed) gave the rope a check, which snapped it in two. The truck, being thus left on the rails, immediately ran back with great velocity. The corves were thrown twenty yards up the embankment and broken to pieces. A man named Mark Rippon, of High lane, who was pumping water at the extremity of the rails, had a narrow escape of his life. Accident at Plumbley Colliery, Mosbro'.—Yesterday morning a fall of roof occurred at the above colliery, by which a young man named Thomas Plant, living near the Bridle Style, Mosbro', was badly crushed on the back, loins, and arms. He was conveyed home, and his injuries were attended to by Dr.Jones, of Eckington. Accident at Plumbley Colliery.—On Saturday an accident happened at Plumbley Colliery (belonging to Messrs. J. and G. Wells, Limited} to a youth named William Penn. It appears that the youth was in charge of a “jinny," and was knocked down by the corves; his thigh was broken, and he was also badly bruised. “First aid" was rendered by Mr. Hardwick, the manager who accompanied him to his home, Church street,Eckington, where the limb was set by Dr. Frank Mason, from the surgery of Dr. West-Jones.. Accident at Plumbley Colliery, A serious accident happened on Monday night to a miner named Thomas Brown, whilst following his employment in Plumbley Colliery, belonging to Messrs. J. and G. Wells, Ltd. It appears there had been a large fall of roof on one of the roads, and after tho dirt had all been cleared away Brown and others were engaged *timbering" when a piece of rock fell, striking Brown on the head, literally scalping him ; the base of his skull was also fractured. He was oonveyed to his lodgings in Eckington, and attended by Dr. Mostyn, who replaced the scalp with eight stitches. Inquiring yesterday, the injured man was reported to be progressing as favourably as could be expected. GALLANT BUT FATAL ATTEMPT TO RESCUE. A most lamentable affair took place on the Plumbley Colliery premises, belonging to Messrs. J. and G. Wells, Limited, on Saturday evening, whereby four persons lost their lives. About seven o'clock on Saturday night it was rumoured that some children and the engineman at Plumbley Pit had been drowned in one of the engine ponds. The excitement was very great and hundreds of people, especially from the top end of the town, hastened to the place. The colliery is nearly a mile distant from Eckington, and is situated at the foot of the " High Woods," in the beautiful valley which extends from the lower part of Eckington to Ridgeway and Norton. Three children residing in Sitwell street, Eckington (two girls and a boy), named Esther Riley aged 11 years ; Percy Riley, aged eight years (the children of the late Samuel Riley, who died three years ago) ; and Rebecca Godson, aged about nine years, the daughter of Wiliam Godson, a labourer, of Caythorpe, near Grantham, who was on a visit to her uncle and aunt, Mr. and Mrs. William Pitchfork, 88, Sitwell street, went for a walk on Saturday afternoon. and after enjoying themselves in the wood came to the reserve engine pond, which was still covered with about three inches of ice. It is supposed that the children, seeing the ice, were tempted to go on to the pond and slide, and that the rotten ice gave way. Their cries attracted the attention of the engine-man, Alfred Williamson, aged 23 years, who was on duty about 20 yards away, who, although he knew the pond contained about 6ft of water and 2ft. or 3ft. of mud below it, bravely entered the pond, and in attempting to rescue the drowning children Iost his own life. Two youths named Rowland Taylor and Edward Redfern, aged 14 and 16 respectively, were in the Wood lane, about 400 yards away. and hearing the screams ran to the spot, and found Williamson and the children drowning amongst the broken ice. Prior to entering the water Williamson had hurriedly tied a long piece of rope around himself, the end of which was on the bank, this the youths instantly seized, but in attempting to pull him to the side the rope became detached from the unfortunate man’s body, and he went down. Taylor and Redfern then went to the Eckington Police Station, and reported the matter to Superintendent Faulkner, who with other officers was quickly on the scene. Soon afterwards Mr. W. E.Wells, the director of the collieries ; Mr. F.Hardwick, manager ; Mr. H. Burgin, under manager ;Mr. T. Evans, engineer; Dr. West Jones and other willing helpers arrived and there were seen considerably over 1000 people on the premises. The work of recovering the bodies was one of extreme danger and difficulty. Darkness came on, and fires were lit for light. Williamson's body was brought to bank by a young miner named Arthur Fairley, after strenuous efforts lasting over an hour, and great risk. The children could not be found until about 2ft. of water had been let out of the pond, when they were brought out by another young miner, named James Silvers. The bodies were removed to the club room at the Prince of Wales Hotel, Eckington, late on Saturday night. The inquest will be held this Monday morning at 9.30 o'clock. Much sympathy is being expressed with the parents of the poor children, and the widowed mother of Alf. Williamson, whose sole support he was. Williamson was greatly respected those who knew him. He was a member of the late Eckington Works Brass Band, and for some time past has been a member of the Mosbro' Band. He resided at Mosbro'. The mother of the two Rileys was also a widow until a few months ago,when she married to George Peat.